My hair has been dyed since the age of 16 (I'm 23 at the end of this month) and it's also been bleached a fair few times, meaning that it is quite damaged so I do love finding new products to pamper it with. I've been trying to stay away from heat stylers lately just because since I dyed my hair all black it's in really bad shape. So when I first tried this I wasn't expecting any miracles, so I just applied it to my hair and left it on for about 30 minutes while I cleaned my room. After washing it out and letting my hair dry naturally my hair appeared smoother and the frizziness that's normally left after I allow it to dry naturally was nowhere to be seen. Because it looked so good dried naturally I did end up straightening my hair one of the times after using it to see would it look any better and surprisingly it was so silky and healthy looking and it felt so soft, I'm slightly in love with this product now! If you love a good 'oul hair mask this is definitely one to try, the size pictured above is their sample pot and I got three uses out of it, I think it's so great that they offer sample sized pots before you commit to the full sized product. This is something I can definitely see myself treating myself to the full sized product when payday rolls around. You can find out more about the product including whats in the mask etc over on their website at hola-coco.com and their product is cruelty free! 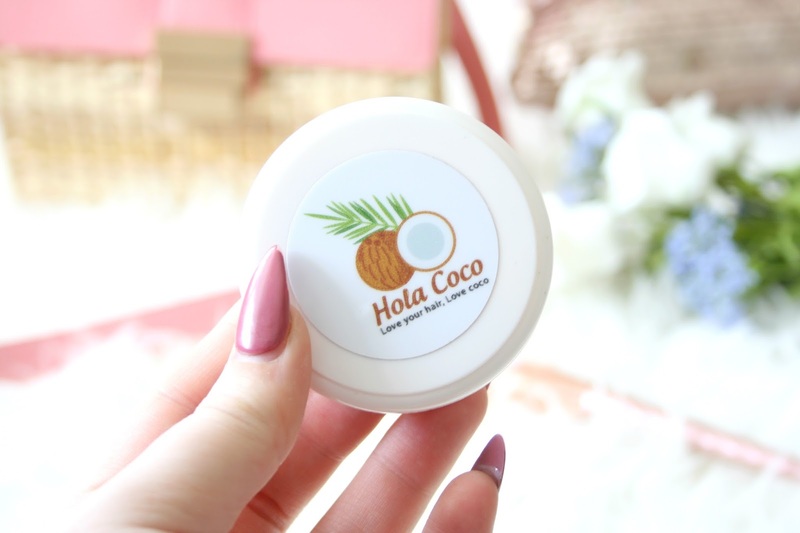 Have you tried the Hola Coco mask yet? Thanks for sharing the reviews for hola coco hair mask.I surely will keep my hands on that to find out its results on my own hairs.